Hey, remember that time I moved to California - the jiu jitsu mecca - and stopped training? Yeah, that happened. Oops. So, I left Toronto for California nine months ago, and now I'm back. Before I left, everyone told me, "You better come back in blue!" Yes, the pressure was on. I was moving to the land of jiu jitsu dreams. I got settled into my new place in the Bay Area and went on the hunt for a new jiu jitsu home. I wasn't expecting how sad I would feel, leaving all my friends. At first, things were going well. I tried a couple of places, and liked them. I signed up with a gym that was close to me that had a female brown belt. It wasn't until these classes that I realized I had never before seen a female brown or black belt in person. And then, it happened... I was told after my first couple of classes that if I trained hard and consistently, I could likely have my blue belt by the time I left in nine months. So I stopped training. Genius, right? I didn't really know why, but I stopped. I just couldn't bring myself to go. I still kept paying for this gym membership, though, trying to force myself to go train. I just couldn't do it. I froze. I rationalized. I made excuses, and believed them. I convinced myself I didn't feel well. I did whatever I could to not train. I also realize now, looking back, that I just wasn't happy, period. I was living in California with plenty of free time on my hands, and was still miserable. So, I ran. The treadmill became my BFF. I ran, and tried to figure out why I couldn't bring myself back to the mats, and why the hell I couldn't just let myself be happy. Did I just stop liking jiu jitsu? Did I finally get bored with it? What am I scared of? Is that even the right question? Be careful what questions you ask, because you will eventually get an answer. Why should you be able to do that? Doing that is going to be hard. You're not that type of person. Well, hello, self-sabotage. Fancy meeting you here. Once I realized I was self-sabotaging, I got down to business. I dove into books on the topic of overcoming self-sabotage and limiting behaviours. 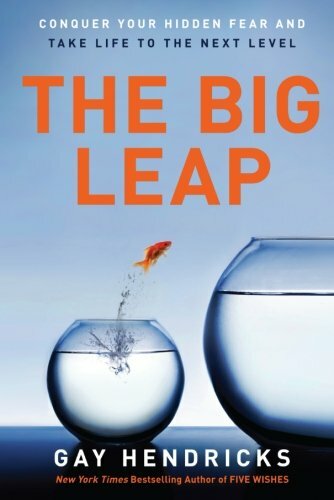 The Big Leap by Gay Hendricks is a classic on this, and basically anything by Lisa Nichols I would recommend. I'll keep it short and sweet: I realized that as soon as "blue belt" was mentioned, I froze. I realized I didn't think I could be the type of woman who could actually do cool stuff, and in order to subconsciously align with this belief, I had acted accordingly and just stopped training, not letting myself actually do the cool stuff. This realization felt horrible but freeing at the same time. That's the thing about our "Aha" moments; once you know, you can't not know. Once you have a profound moment of insight, you can never be the same again. I also realized I'm dying for a roll. Every round is an adventure. Even if I get stuck in side control every time, it's never the same. I love the nuance of every round. I love that each roll can never be exactly re-created, and whatever happens, happens. I realized the negative self-talk was my ex-stepfather talking. This thinking didn't just magically happen; it came from somewhere. I realized the negative words were his story, not mine. A wise friend of mine told me some time ago, "it is not your job to accept abuse from people." As crazy as it seems, I realize now that I had to go through this surprisingly painful California experience of insane self-limiting in order to see that I don't owe my abusive ex-stepdad anything, and it is certainly not my job to prove him right. I tried writing this entry for months. I tried writing it in San Francisco. I tried writing it from a hotel room in Indianapolis. I tried writing it from an airport in Washington, DC. And now, I'm writing it in bed in Toronto. The California saga has ended, and I see how, as much as my nine months in California could likely be seen as a colossal jiu jitsu failure, I'm going to consider it a win. I'm walking away with a lesson I'm glad I experienced now rather than later; I've come back to Toronto better than when I left; and, at least when I was filled with jiu jitsu angst, I was surrounded by palm trees and the ocean. Things could have been worse, and I'm gonna keep on rollin'.